Last month, you promised that you'd continue your explanation of patents and copyrights with a rant about patents and trolls. So...? What, exactly, do you have against trolls, other than the fact that they live under bridges and threaten goats? OK. So as not to disappoint, here goes! The press has been overflowing for the past few years with breathless articles about evil "patent trolls". You see, back in the late 1990s semiconductor giant Intel was being sued for patent infringement by many patent owners. The company's lawyer, Peter Detkin, called one of the lawyers representing the patent owners a "patent extortionist" in an article about the company, but others at Intel did not like that term. There was a contest, and Detkin, Anne Gundelfinger and Mark Davis somehow came up with "patent troll" as an alternative. Remember the story of how the trolls hid under a bridge that they had not built, but demanded a toll from everyone who crossed? Me neither. The original Norwegian folk tale is completely silent on who built the bridge, but it's pretty clear that the goats had not done so, right? Goats lack opposable thumbs. And as there is no other character in the story...but I digress. The troll term struck a chord, and came to mean a company that asserted patents on technology that they had not invented, seeking royalties. Such companies are clearly evil villains, because they don't invent anything, and they sue other people using patents that they buy from inventors. Boo! Hiss! The media climbed on board, and there have been thousands of publications decrying the "rent seeking behavior" of the trolls. For a very entertaining overview, click here. Fast forward to 2014, and you have bills in Congress and the President of these United States promising to do something to stop the trolls because they hurt innovation! But...do they really? Let's think about this. Suppose you passed a law that says that anyone who owns a piece of ground and who built a building there could do only one of two things: occupy it himself, or occupy part of it, and rent the other part out. He can sell the building, but only to someone who will only occupy it - and never rent it out, because otherwise, the new owner would not be the one who built the building - he would only be seeking to collect rent. He can't move out and rent the entire building because then he would not be using what he had built, only seeking to collect rent. Oh, and the original owner would not be allowed to hire a manager by promising to pay a portion of the rent collected, and he can't buy the building next door, since he didn't build it. Forget real estate investment trusts that buy properties to build a portfolio - they don't build things...they must be evil too. So under this new law, what is a property worth? What incentive does the land-owner have to build his building if he has to live in it until he can sell it to someone who can only live in it? Easy - you've just reduced the value of almost every property in America by a huge amount. No one can be a real estate investor in the resale market. Period. So why would our country want to do the same thing to inventors, by limiting their ability to sell their patents? Because big companies that infringe patents are sick and tired of getting caught with their hands in the cookie jar, and can afford to create a fable and lots of press to convince us that their problem is actually our problem. Congress has taken their money that comes wrapped in that same fable, and the President knows a good story when he hears it. As a registered patent attorney who has represented all kinds of inventors for more than thirty years (from garage inventors to the largest multinational corporations) and has been involved in patent licensing and sale for all of that time, the Doc can simply say that there is another, more honest definition of "patent troll" -- one given by Professor R. Polk Wagner of the University of Pennsylvania School of Law, who said that a patent troll is simply anyone who would dare to sue ME for patent infringement. So there you have it. The same old story: don't believe everything you read on the Internet...World War I started that way. To get the straight story on intellectual property issues, be sure to ask the attorneys at LW&H. For reasons that nobody can explain, they actually enjoy thinking about this stuff. Have you ever played the mobile app game, "Candy Crush Saga" by King.com, Ltd. ("King")? Are you addicted to it? Not me, you say. More power to you because by some reports King earns a million dollars a day from users who actually pay for the chance to continue using this "free" game. The way it works is that after so many moves or lives, the player has to wait a period of time before he or she can play again. Some people -- more than a million per day -- can't wait and opt to spend .99 to avoid the delayed gratification. A brilliant business model! In its quest to rule the mobile device game world, King filed a trademark application for the term CANDY, identifying software related products, clothing (say spin-offs), and educational services (say what?). You might ask how in the world a software gaming company can claim rights to the term "candy". What about Hasbro's Candy Land and the myriad other candy themed games? Apparently, the U.S. Patent and Trademark Office ("PTO") did not see it that way. No one else had applied for CANDY in the same or related product space and it was King's to take. And so the PTO noticed the trademark for publication (the penultimate step in the registration process). Apple, Inc. soon began enforcing King's trademark rights in its App Store, demanding that developers remove copycat apps as well any game apps using the term "candy". King also embarked on a campaign to enforce its trademark rights in CANDY and the term SAGA. Then the hue and cry! Across the blogosphere, software developers called foul by the PTO for approving King's registration of CANDY and criticized the filings as "overreaching" and "predatory." Independent game developers were so incensed that they created an online event dubbed "Candy Jam", inviting developers to create games that use the word "candy." Participants created more than 450 games! Then, two events occurred. King announced that it was going public with a $500 million dollar initial public offering and, lo and behold, it voluntarily abandoned its trademark registration application for CANDY. King CEO Riccardo Zacconi repented, saying that his company was "not trying to control the world's use of the word 'Candy'...only trying to prevent other from creating games that unfairly capitalize on our success." In another statement, King noted that its action did not affect its European registration for CANDY and that it would continue to protect its trademark rights. So why would King abandon its U.S. trademark application? A little controversy over a trademark should not deter enforcement of intellectual property rights. True, but the stakes here are enormous. Apparently, game developers stirred the pot enough to cause King to worry about the negative consequences of the trademark filing and enforcement furor to its $500 million dollar IPO. To calm the storm of public opinion, it abandoned its trademark claim to CANDY. The "saga" demonstrates the power of public opinion when trademark owners are perceived to overreach, particularly when large amounts of cash are at stake. Sweet! 1. Are computer-implemented inventions patentable? Particularly, is a general purpose computer programmed to perform a specific function patentable? Alice Corp. v CLS Bank International, No. 13-298 will revisit this question. This case has great importance to software inventors and persons accused of infringing software patents. 2. Is re-broadcast of a TV program in the form of on-line streaming to paying subscribers a copyright violation? On the one hand, the broadcaster released the program to the world when it sent the program out over the air. On the other hand, the broadcaster still owns the copyright. American Broadcasting Companies v Aereo, No. 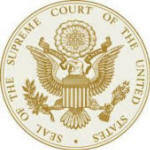 13-461 is the pending Supreme Court case on the subject. See our previous article. 3. Is a person liable for patent infringement where that person induces two or more people acting in concert to perform all of the steps of a method patent when no one person infringes the patent? This issue is crucial for, say, Internet-enabled inventions where different steps in the invention can be performed by different parties and even on different continents. Limelight Networks v Akamai Technologies, No. 12-786, will answer this question. 4. Can a person be sued by a private party under trademark law for false advertising for a product that is pervasively regulated under the Food, Drug and Cosmetic Act? This case will resolve a tension between two different laws. The case is POM Wonderful v The Coca-Cola Company, 12-761.